Hello! 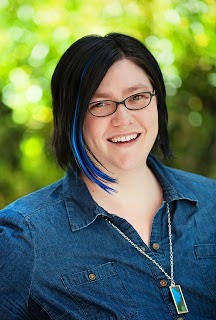 My name is Elana Johnson, and I’ve been around in the publishing/writing/author blogosphere since 2008. You can find me atmy blog, on Twitter, or Facebook. My first series came out with Simon & Schuster beginning in 2011, and I am an Insecure Writer here to share with you some encouragement and support. Sometimes we think we “have it made” in this business. Whether that means we’ve published a book ourselves, signed with an agent, or gotten a deal from a traditional publisher. But the publishing industry is a tough beast to be involved with. In some ways, it’s extremely unforgiving. In others, the sky is the limit. Since I’m a rather positive person, and I like to dwell on things of a more optimistic nature, I’m going to talk a little bit about looking into that sky and reaching for the stars. We all have them. Wishes. I’m right there with you—and we should have wishes, and we should be working on making them come true. See, 5 years ago, I was a complete unknown in the publishing world (and in many ways, I still am!). I didn’t have a single thing published, not a short story, a novella, nothing. I was wishing on stars, writing books, and sending queries. A lot of queries. Hundreds of queries. SO MANY QUERIES. Some of my dreams came true. Yours can too. Even if you aren’t recognizable yet. Even if you can’t get more than a handful of sentences on the page before something else comes up. Even if you haven’t signed an agent or publisher contract. The point is to keep going. Sometimes it’s hard. Boy, let me tell you, I know how hard this business can be from an intimately personal place. Sometimes things don’t go the way we’d hoped, imagined, or dreamed—even if we do sign with an agent and then get a publishing contract from a New York house. But keep going. 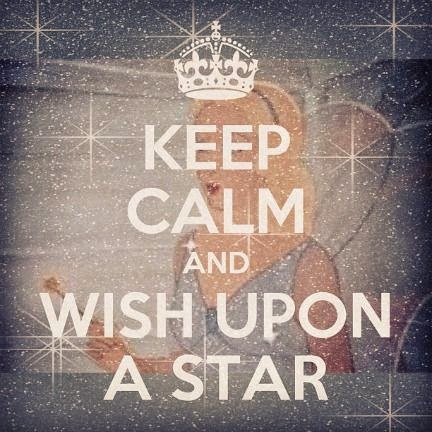 Keep looking up into the skies, finding those stars, and making your wishes. I can’t guarantee they’ll come true, but I can guarantee that you’ll be happy and satisfied with what does happen. Elana is the author of the Possession series, which includes full-length novels POSSESSION and SURRENDER, and short stories REGRET and RESIST . Her newest novel, a YA contemporary in verse, titled ELEVATED, just came out in February. She is the author of FROM THE QUERY TO THE CALL, an ebook that every writer needs to read before they query. I just published my first novel with AuthorHouse and have been very appreciative of the assistance they have offered for what they charged. I have books to sell, but found that avenue to be sufficient at the moment. Now that I have something in print, maybe I can pursue finding an agent. Very encouraging post, Elana! I needed that very reminder: keep going! Thanks! I appreciate an honest post. I've seen my share of highs, lows and in-betweens. Yes, this biz is a rollercoaster ride. I hope to be able to keep my readers entertained and inspired. Hi, Elana! Great to see you here! I feel success is personal like you say. If someone even gets their book out there, yay! If it touches ONE reader's heart, yay! If they get it onto the shelf of a bookstore, yay! Human nature is SO fickle and can destroy the simplest of joys if we look past them and want more. Thanks for the provoking post! I'm wishing for a trilogy of movies. Just keep going. Every time someone says, or writes that, it helps me to Just. Keep. Going. You have offered the writing community such enthusiasm and support over the five years I've been writing and blogging. Thank you for that, Elana. Thanks for the pep talk, Elana. I keep following those dreams too. Thanks all! Sometimes we really do have to put our head down and keep on trying, keep on making more wishes. A writer's food is dreams. If we stopped dreaming and looking up at those stars, we'd starve! Wonderfully encouraging post, Elana. A wonderfully inspirational post! Perseverance is key. Sorry, Elana, you're no longer unknown. Great to have you here. You look fabulous and you rock big time. Thanks for sharing! You're a mentor to a lot of writers. @Lynda -- love the analogy of food! Thanks for that visual. Unknown or not you rock Elana. I did a post on my blog today about getting down to business. No matter our wishes we have to work to make them a reality. This was really nice to read. Thanks for sharing. Hey, one of my main characters is named Elana Johnson! How cool is that? Perseverance and positivity are key! Thanks for this. It is quite encouraging. I'm wishing for time. I just want more time to write. Thanks for the encouragement, Elana!